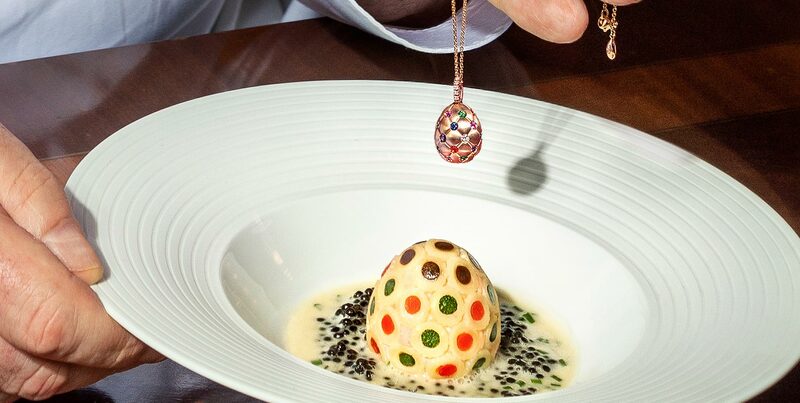 In keeping with Fabergé’s history for surprise and ingenuity, our Executive Chef, John Williams MBE has created a luxurious Eggs Fabergé dish, inspired by jeweller Peter Carl Fabergé’s iconic Mosaic Egg of 1914 and which closely mirrors the multi-coloured Fabergé Treillage egg pendant. Using the inside of an egg shell as a mould, the delicate dish is created using the very highest level of technical expertise. This unique Eggs Fabergé dish will be available for guests who reserve the three-course Fabergé menu in our Michelin-starred Ritz Restaurant during Easter week. This Fabergé menu includes wine pairings expertly selected by our Head of Wine Giovanni Ferlito and a limited-edition menu card, signed by both John Williams MBE and Sarah Fabergé. This menu will be available during lunch service from Monday 15th April – Monday 22nd April 2019, with 24 hours notice. Priced at £295 per person. As part of the Easter celebrations, Fabergé will be exhibiting both jewellery and timepieces in The Long Gallery at The Ritz. Before or after lunch, guests can visit the Fabergé pop-up salon, meet the people behind the name and discover the exquisite new collections. 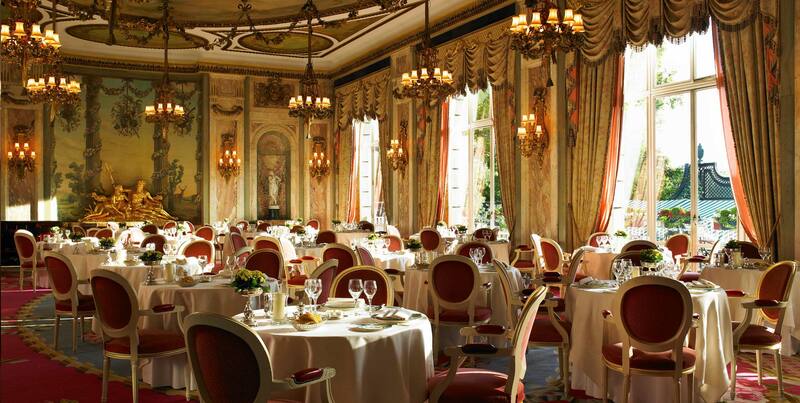 Make the most of this Fabergé lunch experience with an overnight stay. Priced from £1,155, inclusive of Value Added Tax and English breakfast, based on two people sharing.